Does your storage disaster recovery plan or strategy need a tune-up? Would you like to leverage public cloud to augment your data protection strategy? Caringo Swarm Hybrid Cloud for Microsoft Azure makes it simple for organizations to move data to the Azure cloud securely and quickly. 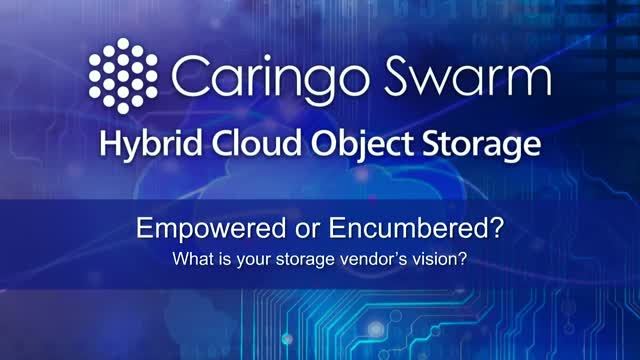 Caringo Product Manager Eric Dey will talk about Caringo's latest product feature and explain how organizations can get data protection and additional benefits by using a hybrid cloud strategy.